The month of August sees thousands of tourists descend upon Scotland’s capital city for the infamous Edinburgh Fringe Festival. With the city’s population almost doubling at this time, surveys show that the majority of the half a million visitors flock to Edinburgh for the notorious comedy scene. 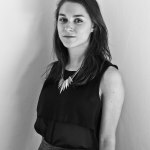 However, running parallel to the 3,000-odd shows that fall under the Edinburgh Fringe is Edinburgh Art Festival, the UK’s largest annual festival of visual art. The festival brings together the capital’s museums, galleries and artist-run spaces to create an extensive events programme which celebrates UK and international artists across all ages. Alongside the rich offerings of artists’ talks, exhibitions, project installations, performances and film screenings, the Art Festival aims to alert visitors to the permanent commissions that decorate Edinburgh’s streets. These commissions, all by contemporary Scottish artists, aim to compliment the iconic architecture of the city. Often this is so successful, it in fact leads to the works being overlooked by tourists and locals alike. Take, for example, Martin Creed’s Work No. 1059. Commissioned by The Fruitmarket Gallery for the 2011 Edinburgh Art Festival; this work transformed the formerly dilapidated and misused Scotsman Steps, which historically have been a connector from the Old to the New Town since 1899. Each of the 104 steps has been clad in a different type of marble, with the stairway becoming a microcosm of the whole world – the marbles acting as samples from across the globe. Today, the steps connect the bustling central train station with North Bridge, the gateway to the old centre of Edinburgh. It is therefore at once both unsurprising and regrettable that, as a former student and resident of Edinburgh, I found myself to be in the minority of those that knew about the artistic and cultural significance of the public installation. A similarly passed-by permanent commission, which Edinburgh Art Festival encourages visitors to admire, is Callum Innes’ The Regent Bridge, commissioned by the Festival in 2012. 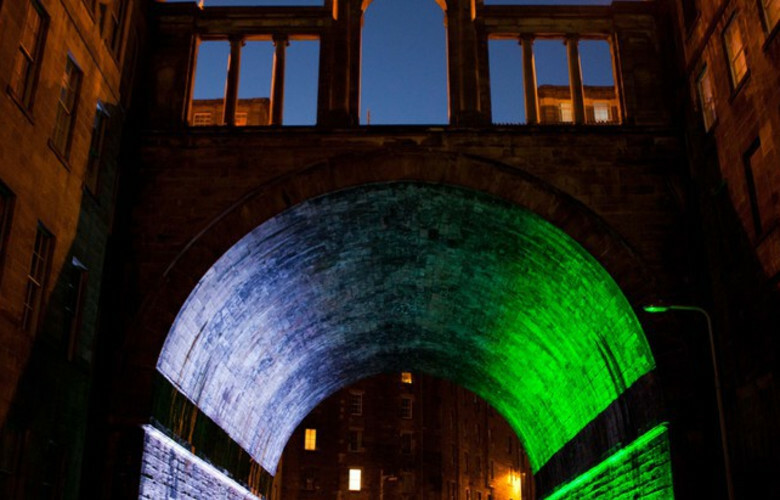 A simple light-based work, Innes has installed coloured lighting which floods a dark tunnel on Calton Road, which holds above it the early 19th century architectural beauty that is Regent Bridge. Innes has taken a dark, neglected through-passage in Edinburgh and transformed it into a triumphant arch. To the uninformed passer-by, this lighting makes for a pleasant and interesting walk through the city, much like Creed’s colourful and pristine stairway. With all of the permanent installations in Edinburgh being commissioned in association with the Edinburgh Art Festival, herein lies the overall aim of the month of celebratory and informative events. This is to encourage people visiting Edinburgh in August to roam the streets, see great comedy, savour the nightlife, but also appreciate the historic city for its artistic and cultural significance. By asking Scottish contemporary artists to transform the streets which they grew up on, Edinburgh Art Festival incorporates art and public life in the most successful and poignant way. So if you are one of the half a million which will visit Edinburgh this month, don’t forget to look at the city behind the temporary structures.